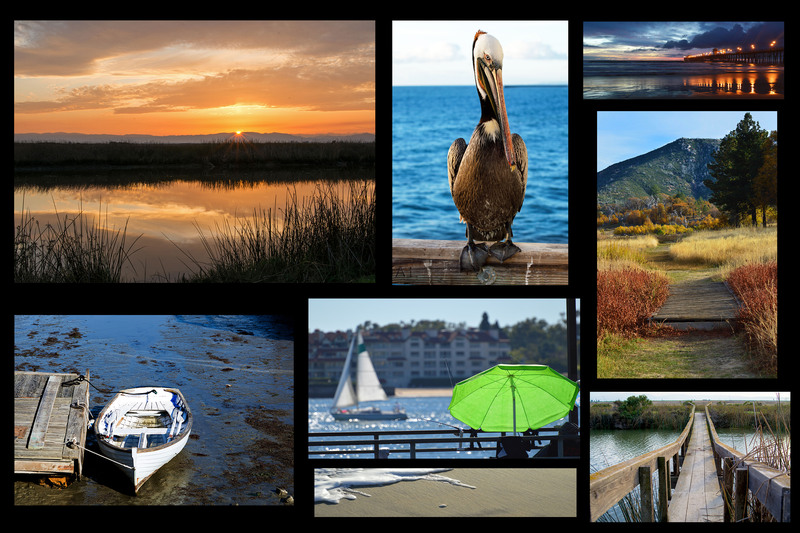 I thought I had seen every marina there was in Southern California so I was surprised when I happened on to not one, but two near Chula Vista, California. On my way to the Tijuana Estuary, I saw one of them from the freeway and made a point to stop by on my way home. A few miles further, I saw a sign for the other along the freeway and I just had to pull off right then and there. I am glad I stopped. 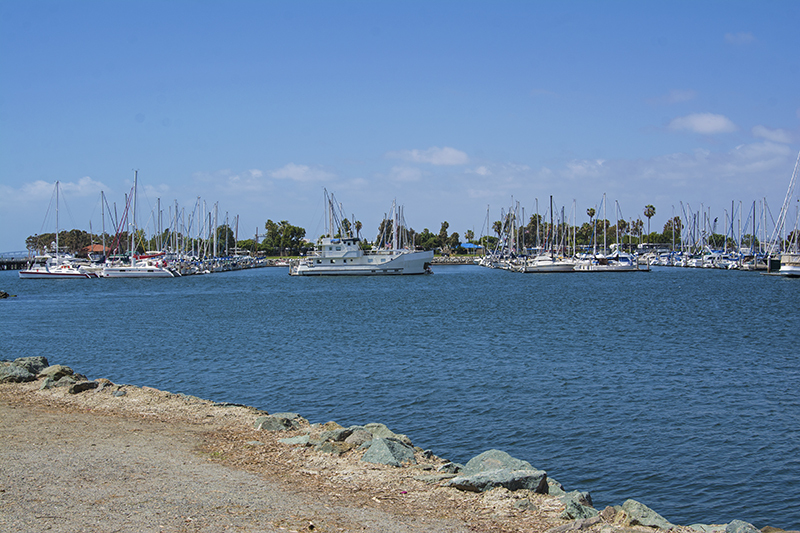 The Chula Vista Marina was surprisingly impressive and the other will be coming up in another story. 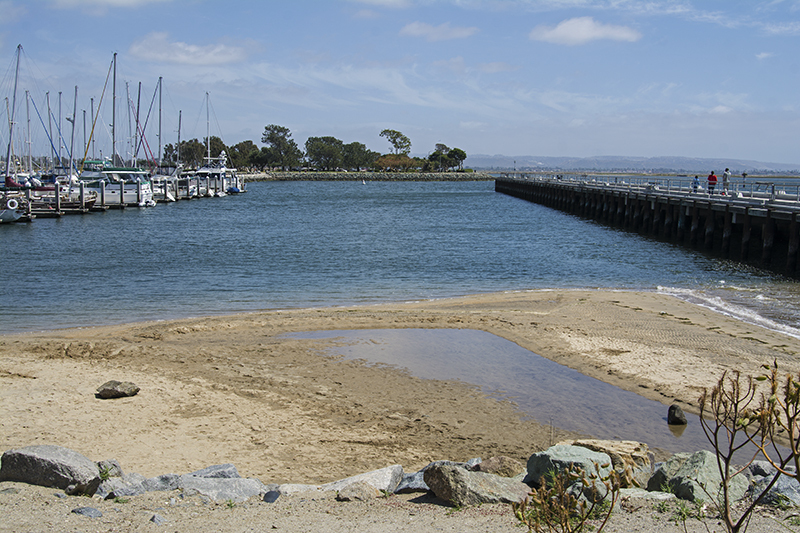 In researching the Chula Vista Marina later, I saw two different accounts of how many boat slips are actually in the harbor, let’s just say there are between 370-500 slips. It seemed a lot smaller at first glance and if I had a boat, it was the type of intimate and quiet marina that I would like to live. As you drove around you could see little nook and crannies where more slips were located so it now seemed a lot larger. 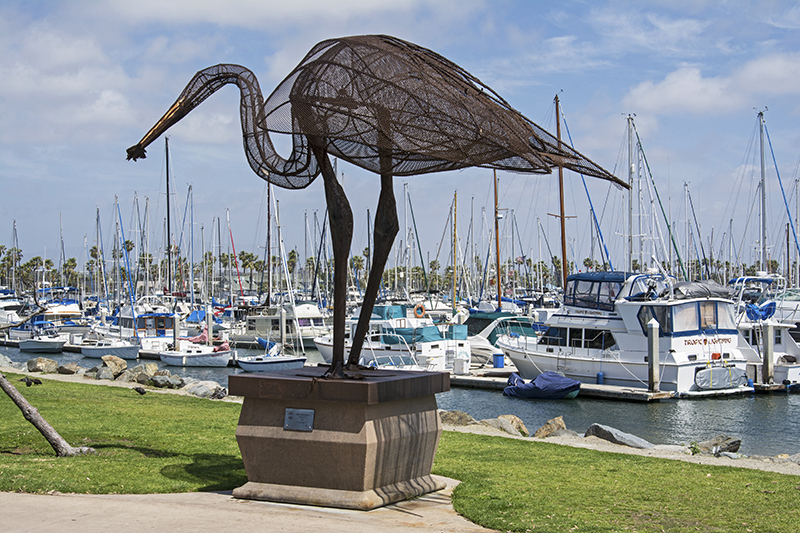 The marina isn’t a touristy type place to go as there are no boat rentals, excursions, tours, novelty shops, or anything like that. I did, however, see a little bitty gift shop along the way and a Cape Cod looking set of buildings on the south/east side of the marina. Upon further inspection, those buildings turned out to a place you can rent for gatherings, parties, wedding receptions, etc. No shops or restaurants there. 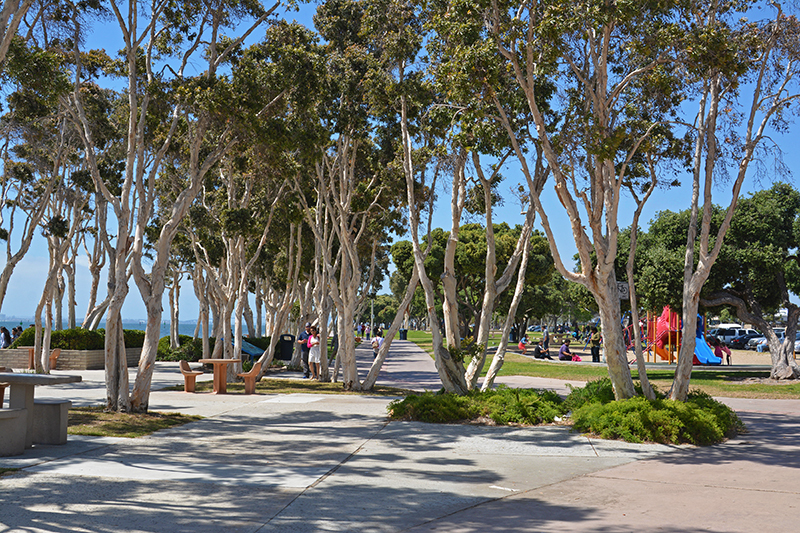 What is nice about this harbor is that there were plenty of parks and grassy areas all around. 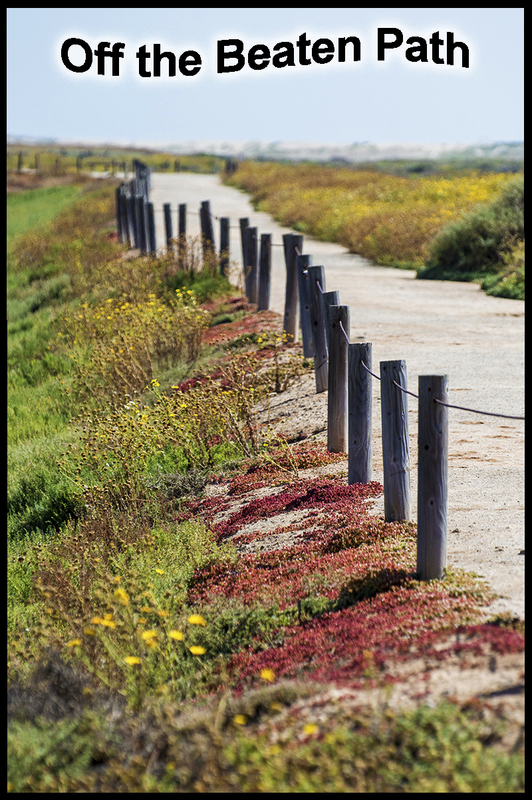 I saw a lot of people just meandering by, some with dogs, and some just enjoying the warm California sunshine. However, it never seemed crowded. Plus there was plenty of parking…and free! 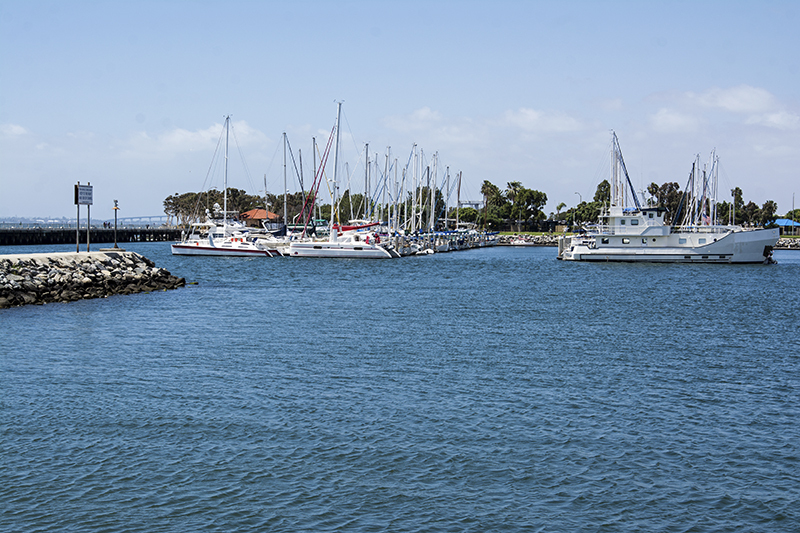 The marina spills out into a very large part of the vast San Diego Harbor. 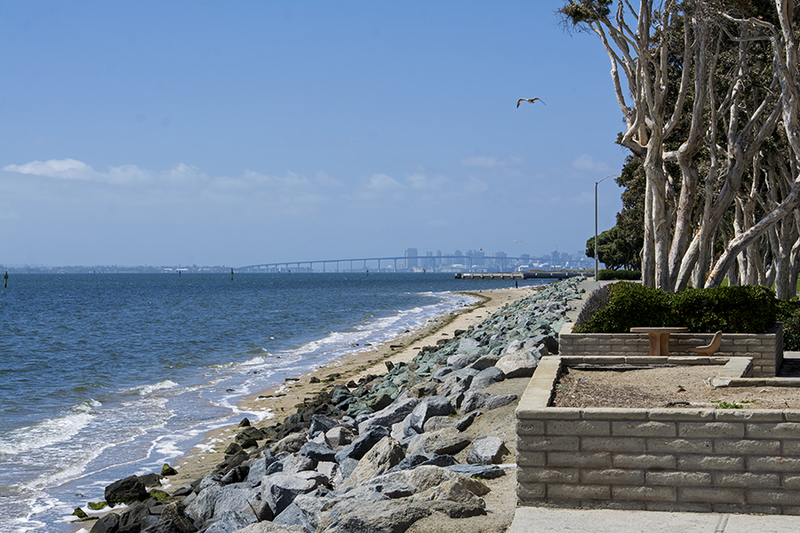 Looking west you can see the coast and the Coronado Cays then to the north far in the distance lies the impressive Coronado Bridge. Just beyond the bridge is a glimpse of downtown San Diego with its equally impressive skyline. It was very windy and there were only a few boats out on the water. 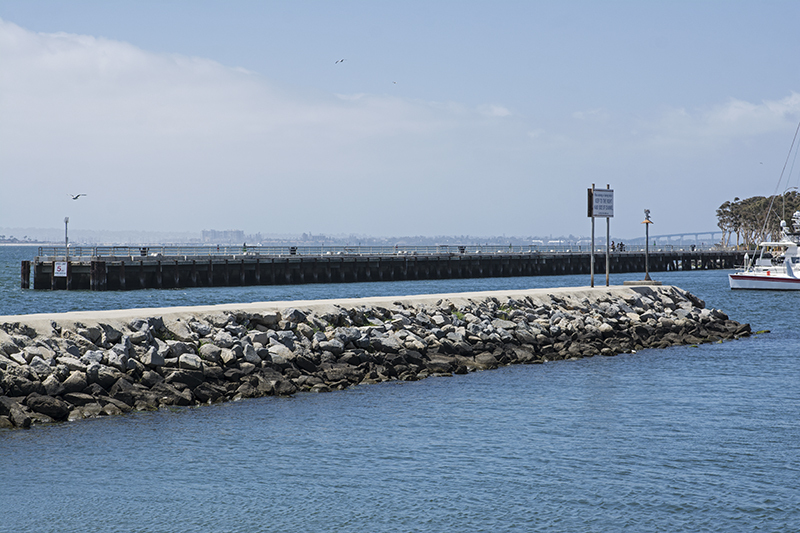 This southern most part of the San Diego bay doesn’t have as much activity as the northern parts so you could be out there pretty much by yourself. Maybe it was just that it was a wind chopped day and a little nippy on the bones. We drove around the harbor past the Chula Vista RV Resort which I had heard has the reputation of being one of the best RV parks in Southern California. Even, though I had heard about it, I didn’t know where it was; now I do. From what I could tell, it earns its top notch distinction as it was packed with RV’s . In front of the RV resort sits another park that was filled with people enjoying it in one way or another. 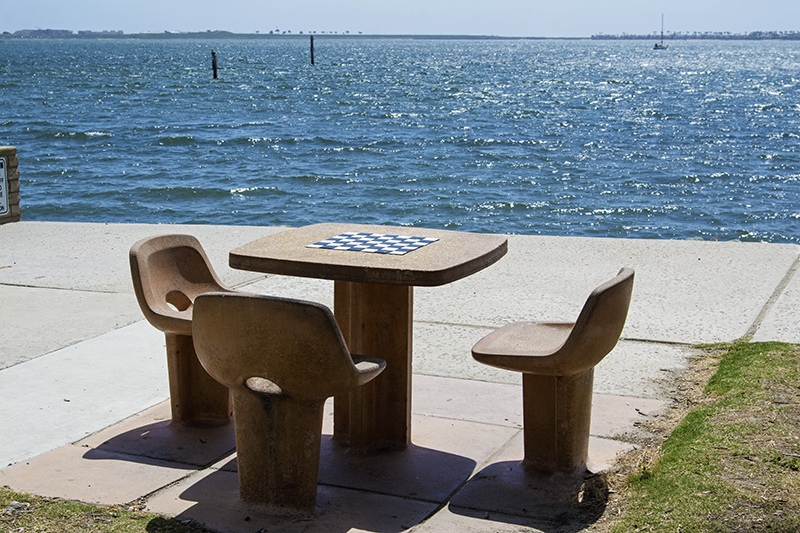 There were cement seating areas that had tables with chess boards attached of which I suddenly wished were at my local harbor. 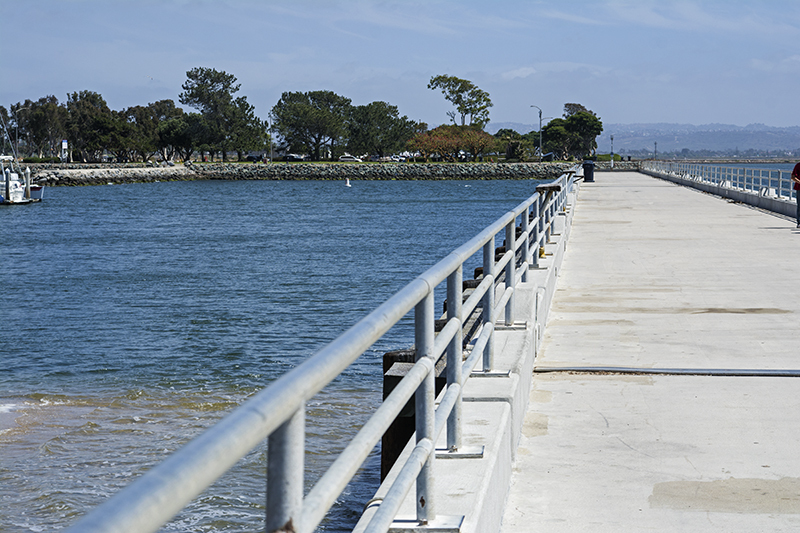 Nearby there was a cement fishing pier but I was perplexed on why it was so empty, it looked like a perfect place to fish! Maybe it was also too windy or the fish weren’t biting, probably a little of both. I thought it might be fun to come back another day and try our luck anyway. The park had a kiddie area and plenty of places to picnic. There was a narrow sandy beach stretching across the bayside that I wanted to roam around on while looking for shells but you had to climb over rocks to get there. My climbing days are far gone so I opted not to stick my feet in the sand. I did see people on the beach so I am sure there is an entrance somewhere along the park on the opposite end. Right by the pier there was also a sandy area and I thought it would be perfect to launch a SUP or kayak since it was inside the marina with way calmer water. 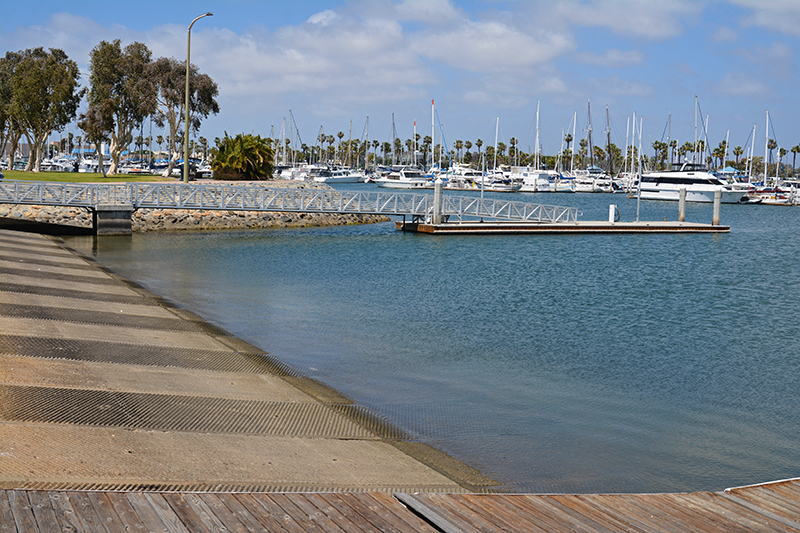 For motor and pleasure boats, there is a sizable launch ramp on the other side of the harbor. There are two restaurants in the marina although I only saw one. 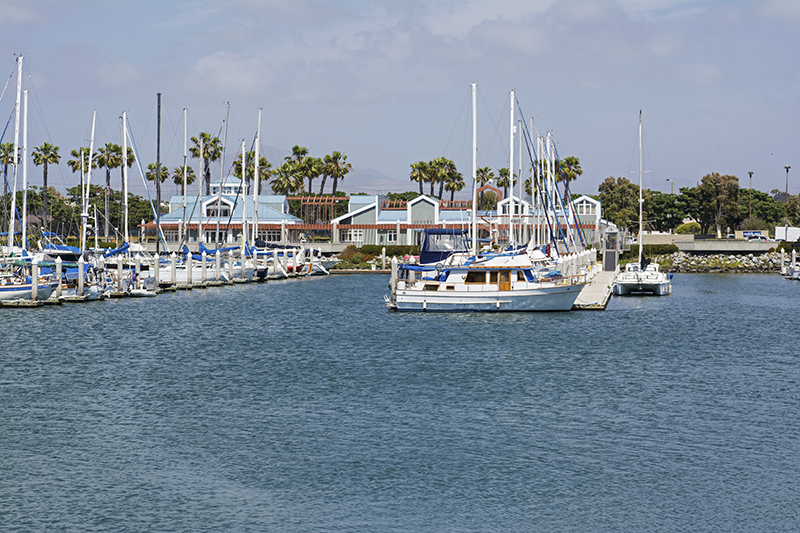 The “Galley at the Marina” has bay front dining, a bar, and live entertainment. I can definitely see myself hanging out there having a cocktail at sunset. The South Bay Fish and Grill restaurant, I never did see and only knew about it by researching the marina later. The whole harbor area with its boats and parks was very impressive; it was super clean and maintained well. Even though it doesn’t cater to tourists per se and is an hour from where I Live, I still could easily spend a day there. I would enjoy what I am sure would be a yummy lunch at either restaurant, fish on the pier for awhile, stroll barefoot in the sand, then finish the day off with a gorgeous sunset while playing a relaxing game of chess. 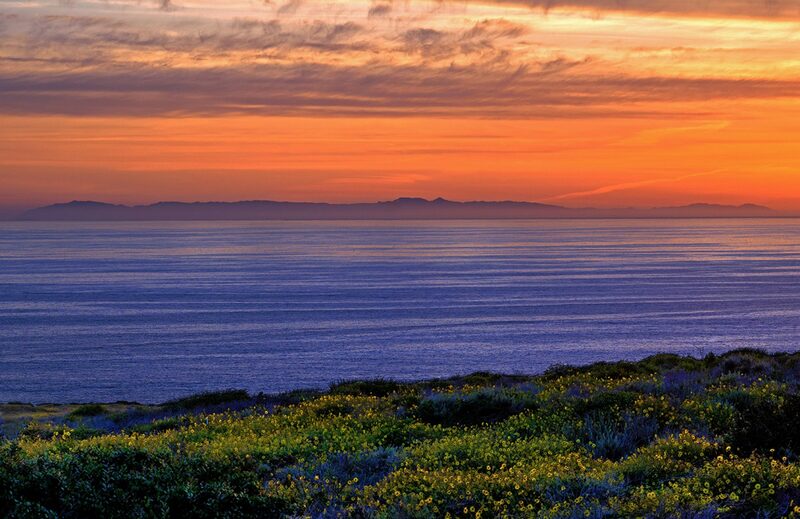 It is exactly what a perfect staycation should be, exploring the world around where you live. In this case… an hour isn’t so far.